#29 MISC SUPPLIES - FLAGS, TRACTION CLEATS, TAPE, WIPES, TOWELS, SPILL CONTROL, HITCH PINS, ETC. Delivering Superior Customer Service Since 1986! M-Pro Line Co. Wholesale Glove and Safety Products. 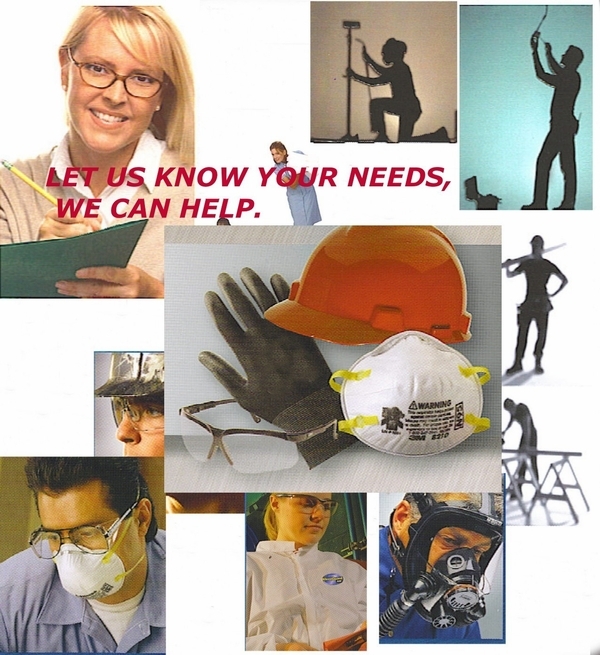 We have Chemical Gloves, Mechanics gloves, Work Gloves, Chemical Protective Clothing, Tyvek Suits and Aprons, Etc. Products for Farm, Home and Industry. A company in business for over 27 years that can offer personal attention and quality products for what you need. If you need a product not listed let us know and we will special order it for you! My husband needed heavy duty winter gloves as he is in construction trade as an Ironworker. He is very happy with the product ordered and will most likely order from this merchant again. Comment: The gloves I purchased are some if not the best "utility" gloves I have ever used. Being with the military I tend to get isued gloves of a lesser quality and its hard to find gloves that are durable enough to last through what I use them for. These gloves are suitable for any temperature and are second to none in quality, durability and comfort. Shipping is expensive but they were delivered in two days from the order date. Comment: I love MProLine! I searched the internet for DAYS looking for heavy duty mittens for my father-in-law. I bought a pair last year for him from MProLine and he LOVED them! I decided to stock up with a few more so that he has them if something happens to the ones I already bought him. MProLine is an AWESOME online merchant! Comment: I was very happy to find the website. All the websites I visited prior to finding their's required a minimum order of 12 of the product I was searching for. They only required a purchase of 3. Shipping was excellent; I received my items within 2 days of order (but I got lucky they are located in the same state in which I live). I have already passed their website information on to co-workers who plan to order through them also. I will continue referring anyone who asks and I will definately be going back when I need something again. The shipping rate calculated at checkout is based on UPS GROUND rates but WE CHECK EVERY ORDER AND WILL ADJUST SHIPPING CHARGES AFTER RECEIVING YOUR ORDER AND SHIP USPS PRIORITY MAIL IF THOSE RATES ARE LOWER!